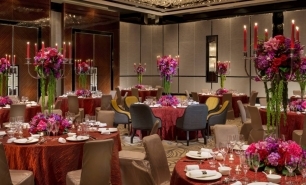 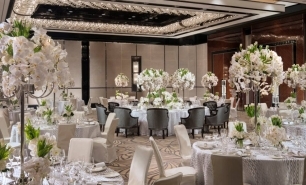 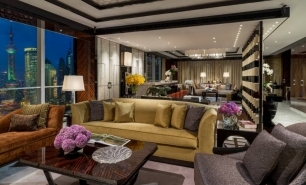 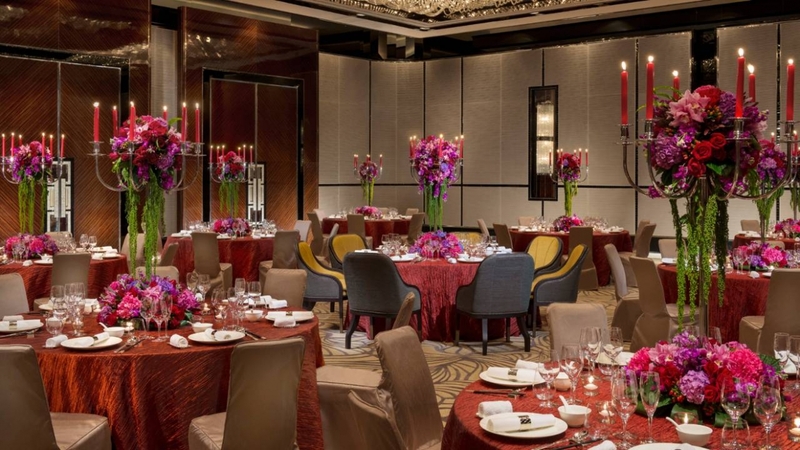 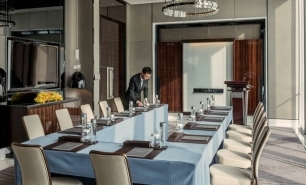 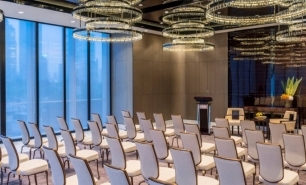 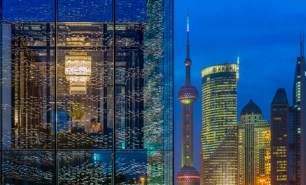 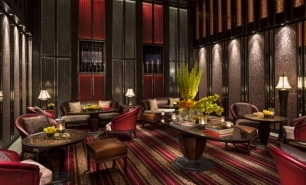 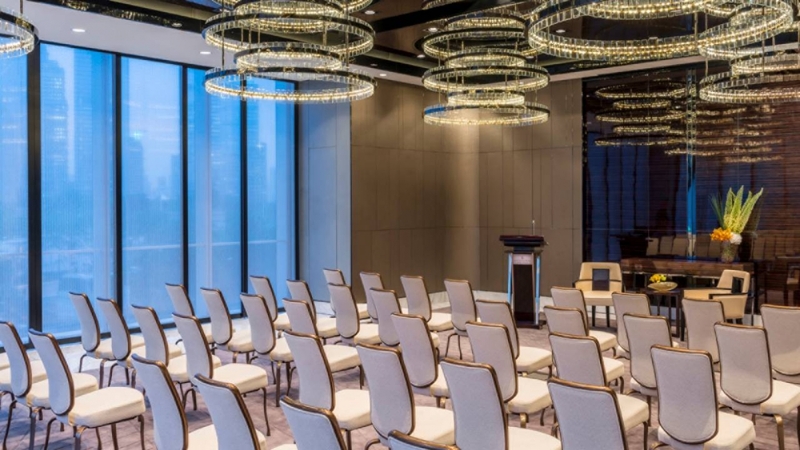 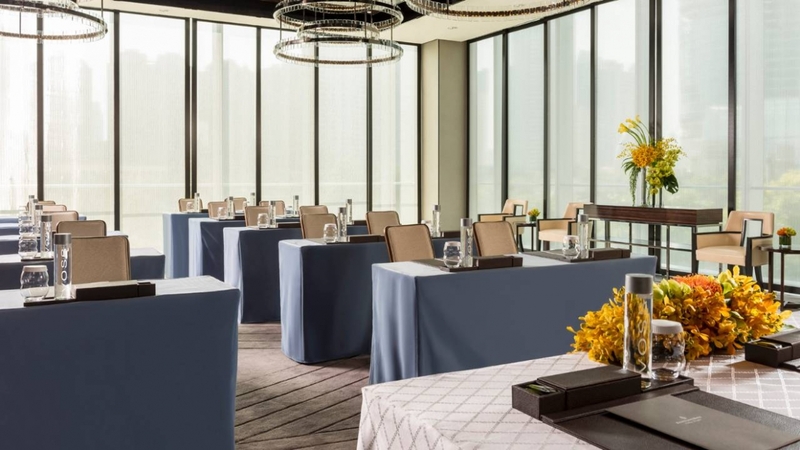 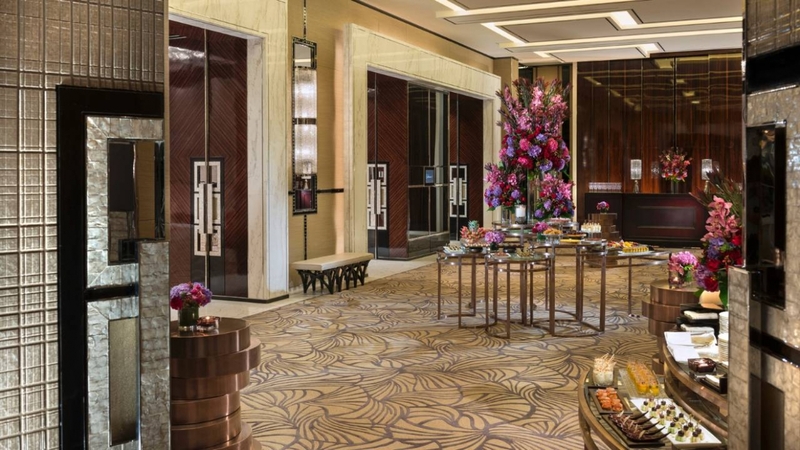 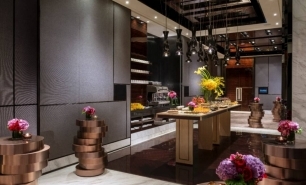 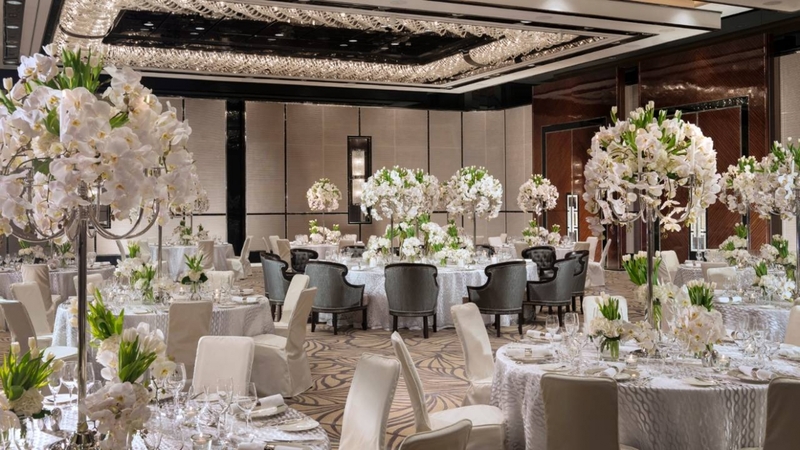 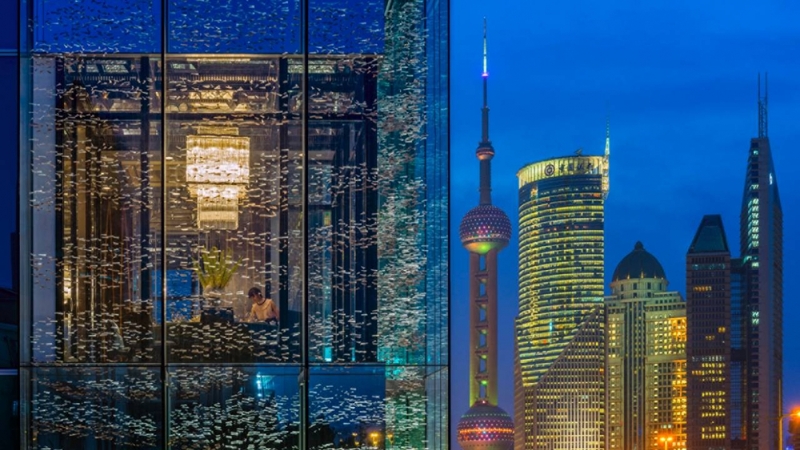 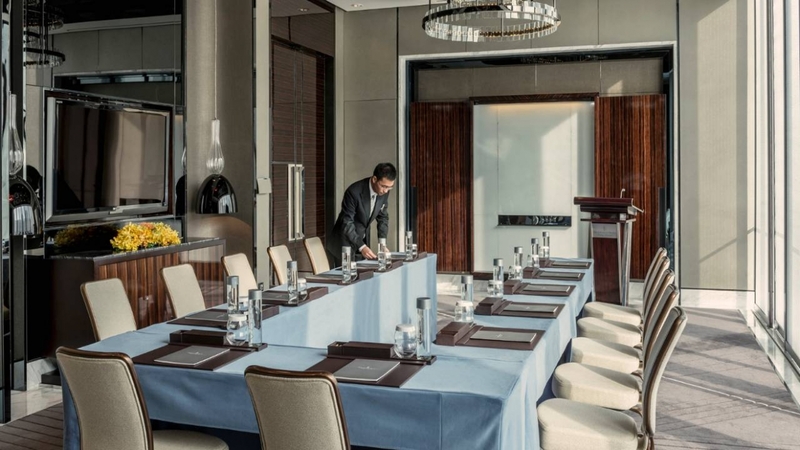 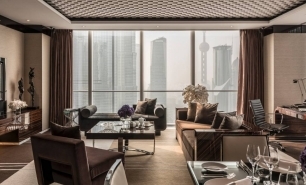 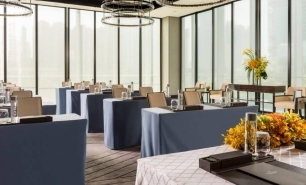 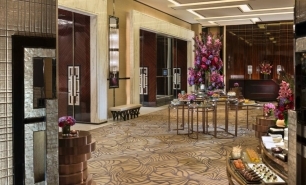 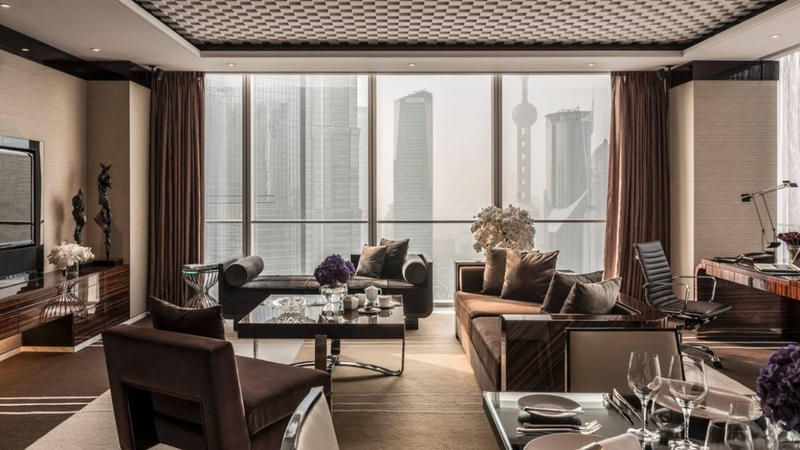 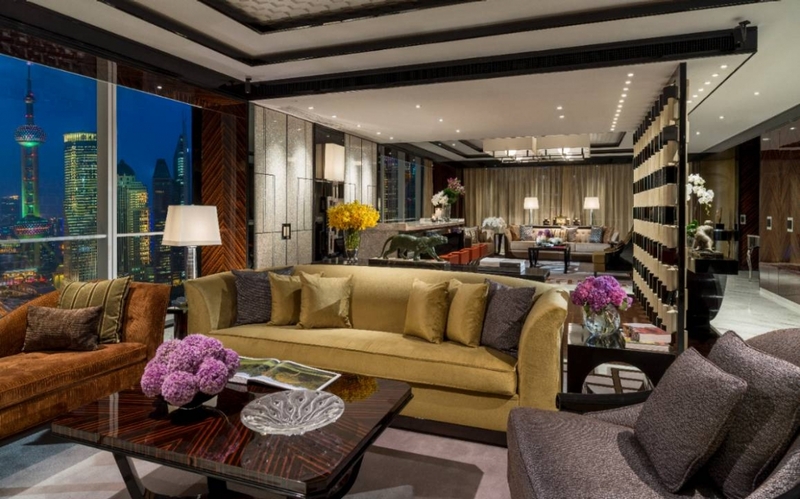 Four Seasons Pudong is a new Four Seasons property located on the 30th to 39th floors of a modern tower on Century Avenue in Pudong’s central financial and business district. 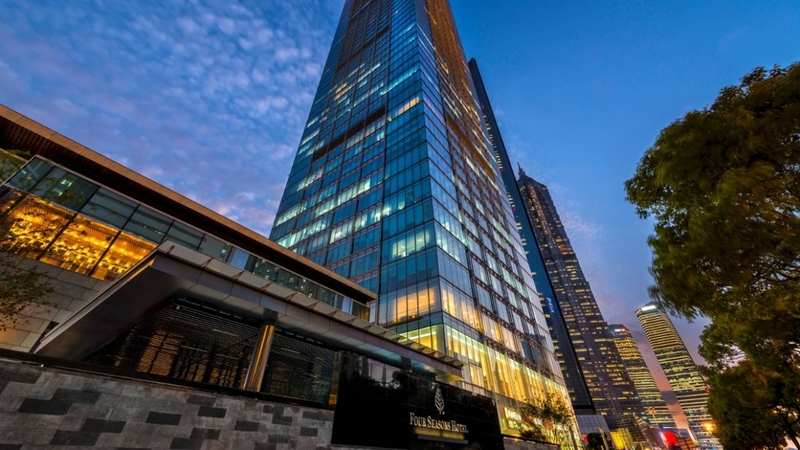 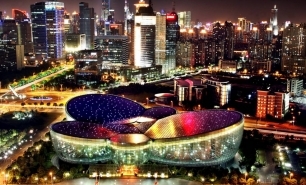 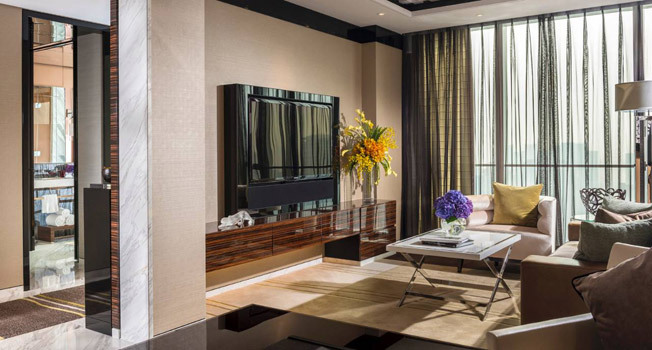 It is within walking distance of the Shanghai World Financial Center and Shanghai IFC. 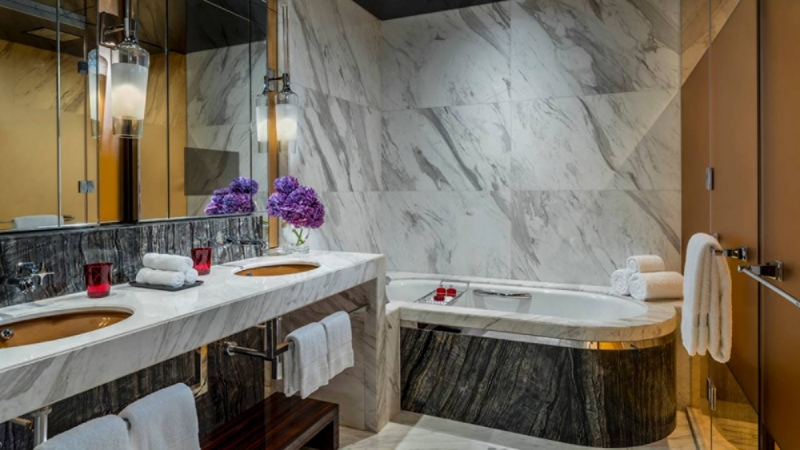 The hotel offers 187 guestrooms, including 172 rooms (36-73sqm), 12 suites (88sqm), 2 Executive two-bedroom suites (170sqm) and one Presidential Suite (432sqm). 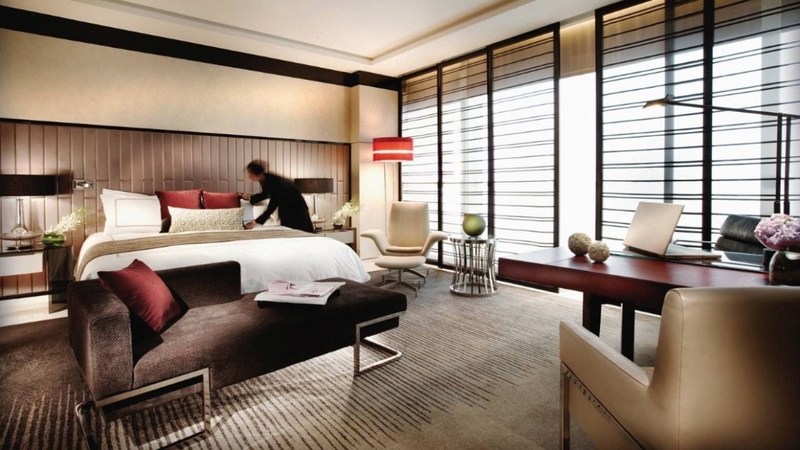 The Club Rooms and Suites are located on the higher floors (37th-39th). 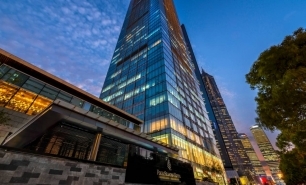 The hotel’s two restaurants are located on the ground and second floors. 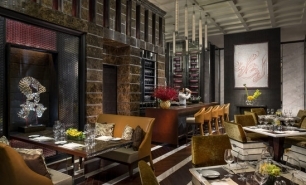 Camelia is a relaxed all-day restaurant that offers contemporary Western cuisine and has a wine lounge and outdoor terrace. 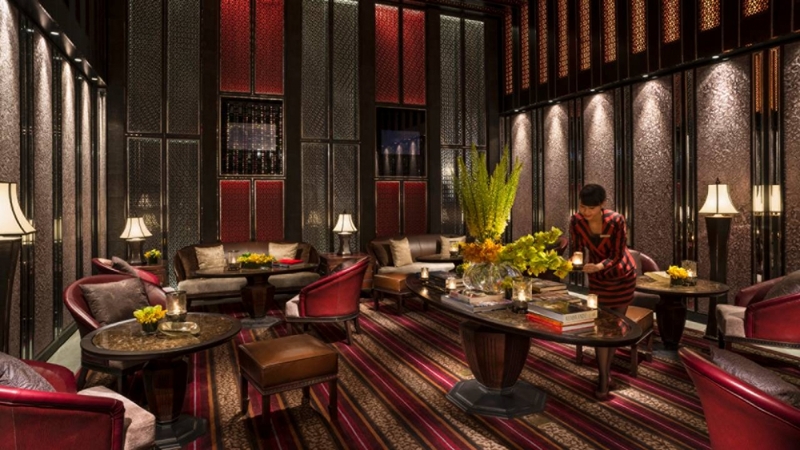 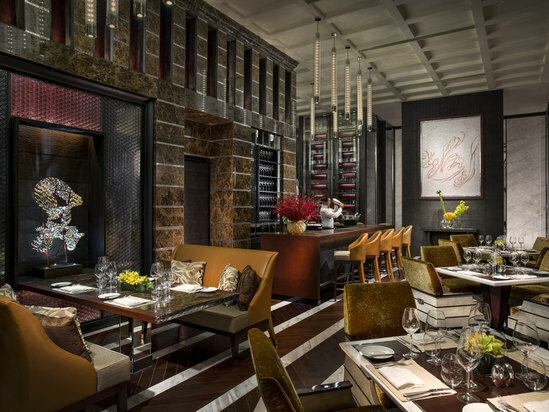 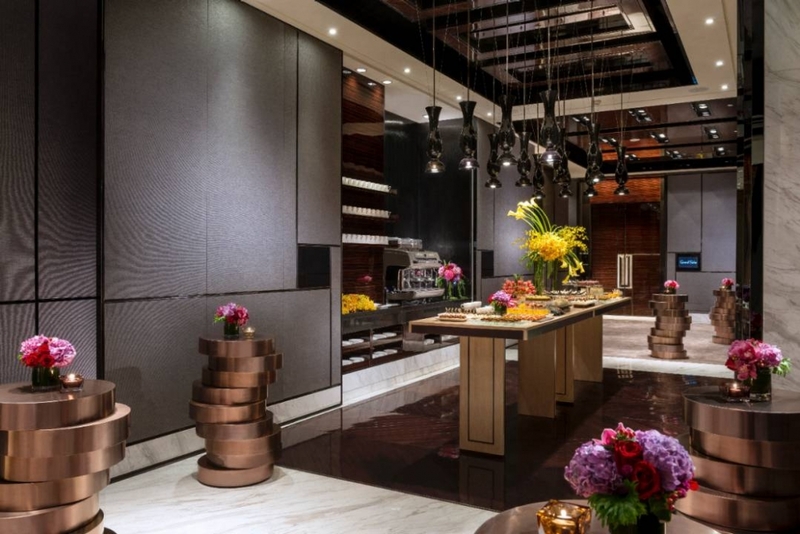 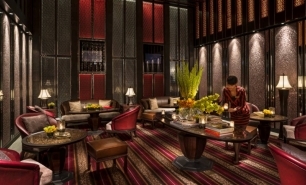 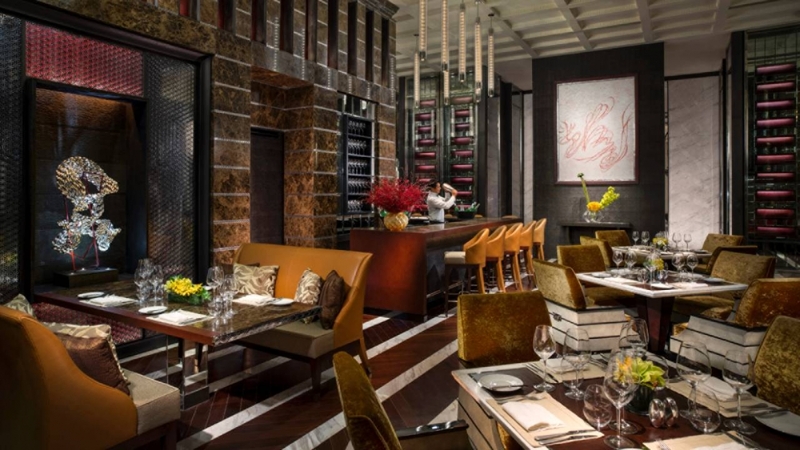 Shang-Xi is a smaller (22 seats and 5 private rooms), more elegant and sophisticated venue offering fine Chinese dining. 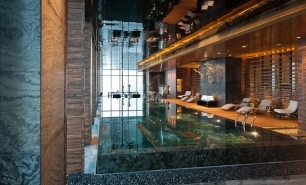 Four Seasons Hotel Pudong has an exclusive FLARE spa, featuring VIP Spa Suites with whirlpool and rain showers and four spa-treatment rooms. 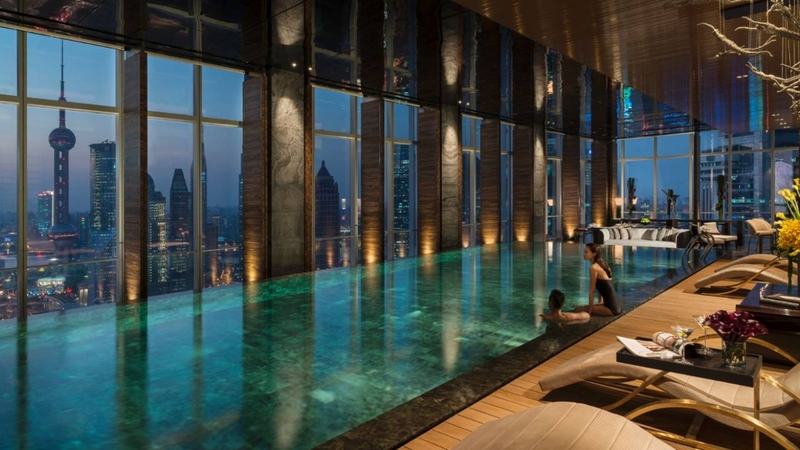 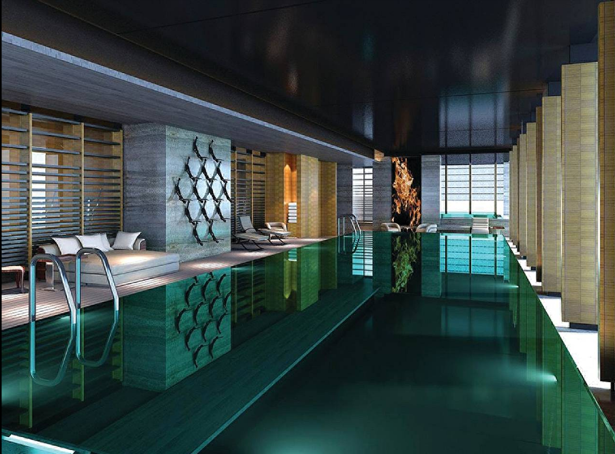 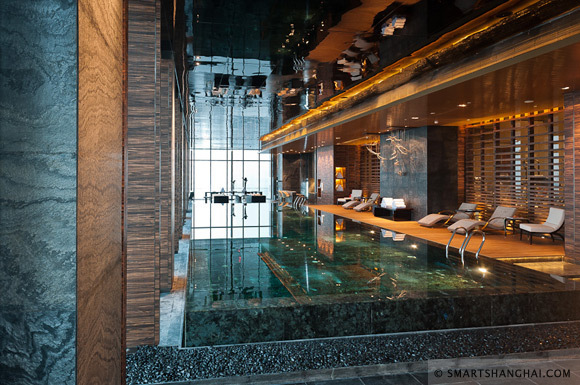 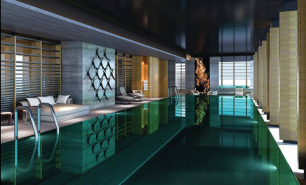 There is also a beautiful indoor infinity pool with views of the Shanghai skyline and a high-tech, 24 hour fitness centre. 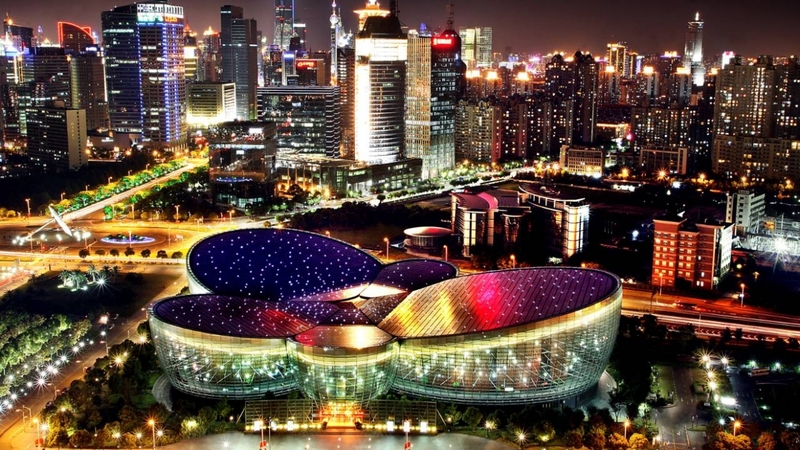 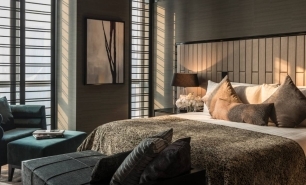 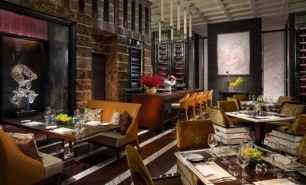 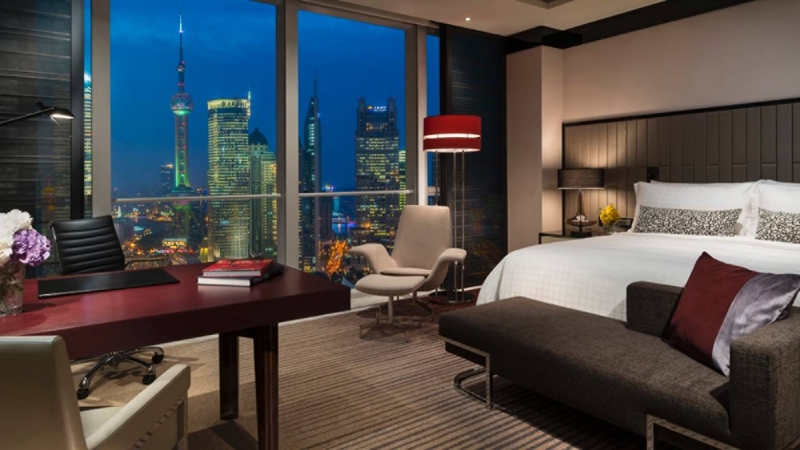 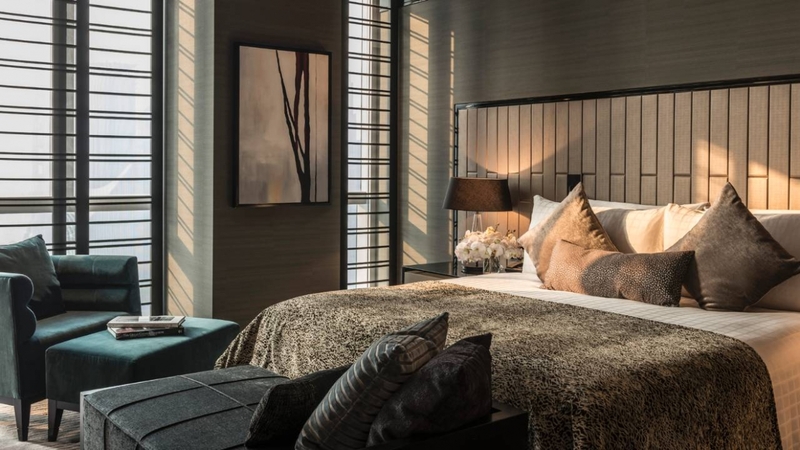 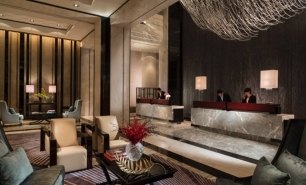 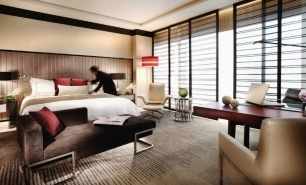 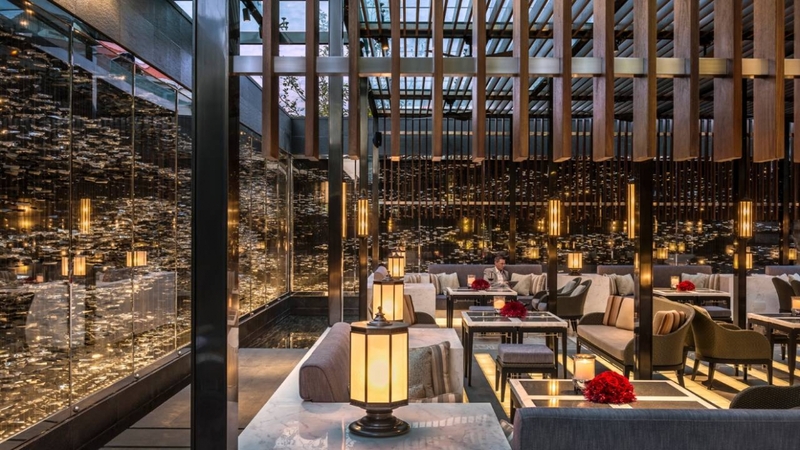 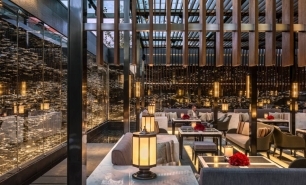 The Four Seasons is 40 km (45min by car) from Shanghai Pudong International Airport (PVG); 25km (40 minutes by car) from Hongqiao International Airport (SHA) and 30 minutes from Shanghai Railway Station.